You brush your teeth, floss, and visit the dentist every 6 months for your cleaning and exam, right? ...Even if you don’t adhere to every dental health guideline, chances are you do your best to take care of your teeth. Although, to varying degrees, we are diligent about our own oral health many of us tend to overlook our pets’ teeth. Recent studies show that dental disease, also known as periodontal disease, affects approximately 85% of pets over 3 years of age. If left unchecked, dental disease in pets can result in significant pain and possible tooth loss for your pet. In addition, poor oral health can result in a wide range of health problems. Keeping your pet’s pearly whites healthy with a combination of home care and professional dental services is crucial to the overall health and well being of your pet. The first step towards proper pet dental care is to keep your pet’s regular wellness appointments. At each visit, your pet’s teeth and mouth will be assessed, allowing your veterinarian to diagnose and treat any problems early on, as well as give you recommendations on follow up treatment and home care. Most pets will need a professional dental examination and cleaning, performed under anesthesia at your vet’s office, about once per year (or more if recommended by your vet) for optimal oral health. 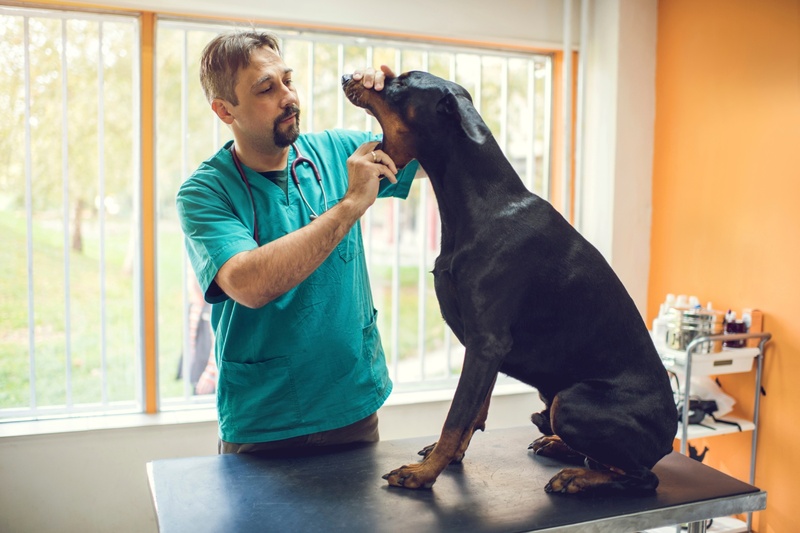 The anesthesia allows your veterinarian to perform a complete dental examination and to thoroughly clean and polish the teeth, all while keeping your pet safe and calm. A good home care routine and a dedicated pet parent are key elements in your pet’s dental care arsenal. Daily brushing (using a pet safe toothpaste) is necessary to help prevent plaque buildup in between professional dental cleanings. It’s also helpful to take a peek inside your pet’s mouth on a weekly basis, looking for any symptoms of dental disease or other abnormalities. Of course, no one loves kissing dog breath, but more importantly, investing in your pet’s dental health today is one of the most powerful ways you can impact his or her overall comfort, health, and longevity.